WASHINGTON, Jan. 22 (Xinhua) -- U.S. Democratic Senator Mark Warner on Tuesday introduced legislation to prevent future government shutdowns in the case of funding lapse by automatically renewing government funding. The bill, named Stop STUPIDITY Act, would fund all aspects of the government at the same levels as the previous fiscal year except for the legislative branch and the Executive Office of the President, the senator said in a statement. It would "effectively force Congress and the White House to come to the negotiating table without putting at risk the economy or hurting the American public," Warner said. "It is disturbing that the daily lives of hundreds of thousands of workers are at the mercy of dysfunction in Washington," he said. 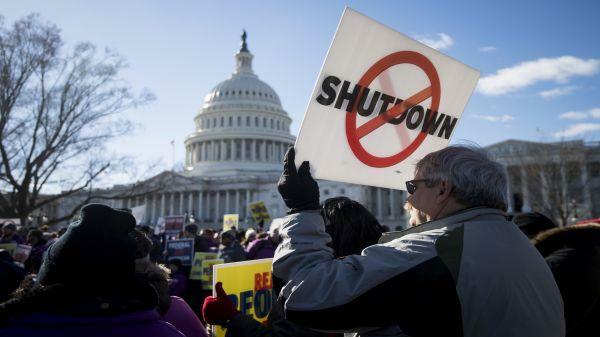 Senate Republicans, led by Senator Rob Portman, have also introduced similar legislation, called the End Government Shutdowns Act, local media reported. About a quarter of the U.S. federal government was closed on Dec. 22 due to an impasse between the White House and Congress over whether to provide billions of dollars for the construction of a U.S.-Mexico border wall, long demanded by President Donald Trump. The record-long shutdown, now in its 32nd day, has forced about 420,000 "essential" employees to work without pay, and 380,000 others to take unpaid leave. The impact has been growing. The shuttering has limited the ability of Federal Bureau of Investigation to pay informants and witnesses and to hire support personnel, the agency said Tuesday in a report which described in detail of the shutdown impact on more than 50 anonymous FBI agents. Federal courts are expected to run out of money on Feb. 1 after stretching fees and other funds during the partial shutdown, the Administrative Office of the U.S. Courts said Tuesday. "Most of the measures are temporary stopgaps, and the Judiciary will face many deferred payment obligations after the partial government shutdown ends." The Senate will vote on two competing bills Thursday in an attempt to end the month-long partial government shutdown, Republican and Democratic Senate leaders said Tuesday. The two spending bills include one with 5.7 billion U.S. dollars to fund the border wall, and another that extends funding for closed agencies until Feb. 8. Despite a seemingly softened tone, the two bills still face uncertainty in the Senate as each bill would need to garner 60 votes to advance.